Thanks to Halvard Johnson for the opportunity to curate a group of poems concerned with the form of list or catalog poem. This is a form that’s interested me since I began writing poems. 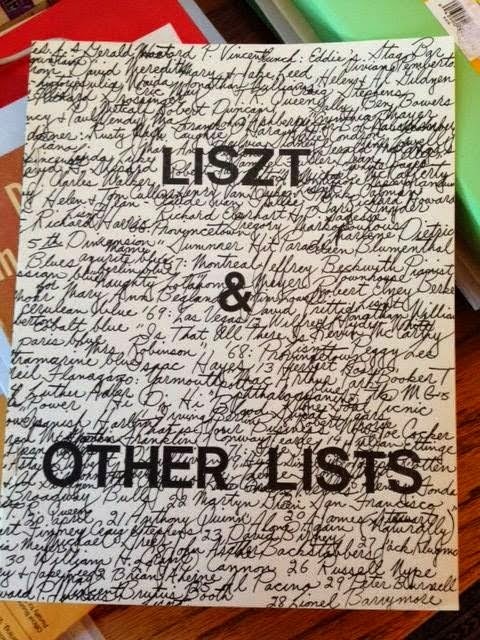 In more recent years, the list poem has intrigued because of my other interest in subverting the form of auto/biography; I’ve found that the list not only can be an autobiographical fragment of one’s life (e.g. ye olde shopping list) but also a form that can enhance truth-telling by presenting a scaffolding against the turmoil of emotions that arises when one looks at one’s life. My interest in this form will manifest itself in my forthcoming book, INVENT(ST)ORY: Selected Catalog Poems &New. I decided to curate a TRUCK issue on the list poem to see how else other poets conceive of the form. As you will see through these varied offerings, there’s more going on in the list poem than just … listing. My thanks to the poet-participants. I list below the poet-participants. I plan to post 1-2 poets daily. For convenience, their names below will be linked to their offerings as we proceed through the month.